New York, NY – (RealEstateRama) — U.S. 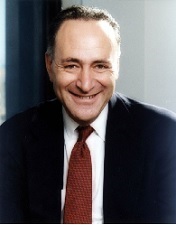 Senators Charles E. Schumer and Kirsten Gillibrand today announced $2 million in federal U.S. Department of Housing and Urban Development (HUD) funding for the New York City Housing Authority (NYCHA). Specifically, the funding is authorized by HUD’s Jobs-Plus Pilot Program, which provides public housing authorities and their partners with funding to help residents increase their earned income and become self-sufficient. Jobs-Plus supports work readiness and connects public housing residents with employment, education and financial empowerment services in order to help public housing residents find and keep jobs. NYCHA is one of six funding recipients selected from across the country to launch this pilot program. Overall, HUD invested over $14 million into the program nationwide.